Love EDM but don’t know the best ways to stay connected? Check out these amazing apps that will keep you in the loop and take your EDM experience to the next level. Possibly one of the best kept secrets in the electronic dance community, stay up-to-date with new show announcements in your area. Instead of scouring Facebook, Twitter, and artist websites for information on shows, EDM Concerts does all the work for you. The app allows you to set your preferences, from multiple states or specific cities all over the country, and gives you a list of every possible dance music concert in those areas. EDM Concerts is great for ravers who are looking for an event for a specific date. The app also allows you to click on each show for more information, ticket sales, and even includes previews of the artists music. EDM Concerts updates their app with new shows almost immediately after it’s announced and highlights the newest additions at the top. Truly the holy grail of EDM apps! 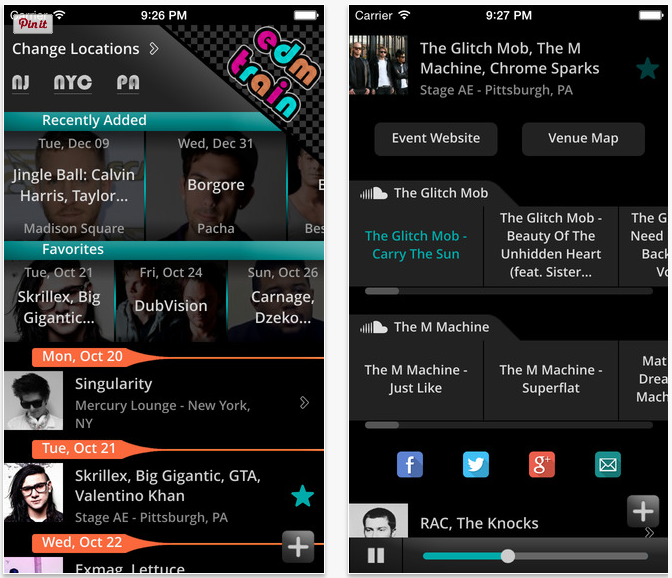 Get the EDM Concerts app for iPhone here. 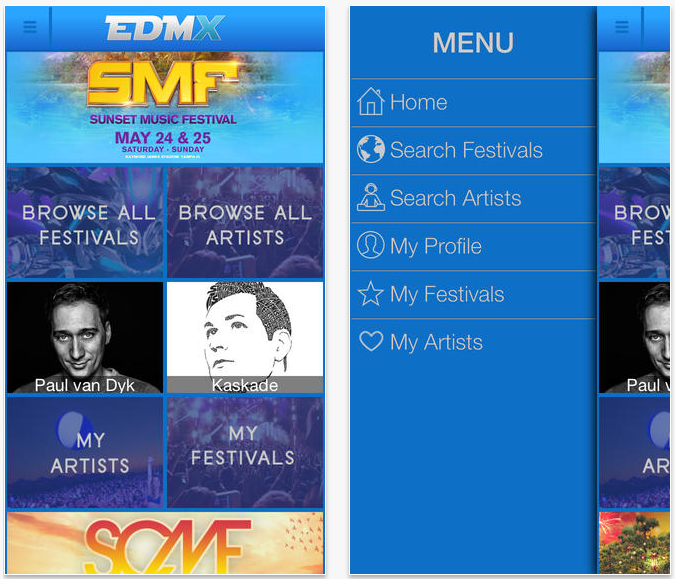 Get the EDM Concerts app for Android here. Like Facebook for ravers, Roll Random is great for connecting with other dance music lovers in your area. The app allows you to post statuses regarding anything having to do with EDM, whether it be plans for your next show, ranting about missing out on an event, or planning meet-ups at a show in your area. It’s often hard to find other dance music lovers, especially when you first join the scene. Roll Random is a great place to get started. Your profile keeps track of your experiences, posts, and even connects to your Instagram. If you want, you can add where you live to your profile, making it easier to find people in your area. You can message other users to connect even further and even add them to your Roll Random "fam." This app is perfect for connecting dance fans with interests in specific genres like trance, dubstep, or deep house. Roll Random gives hope to EDM lovers who feel disconnected from the scene. Get the Roll Random app for iPhone here. 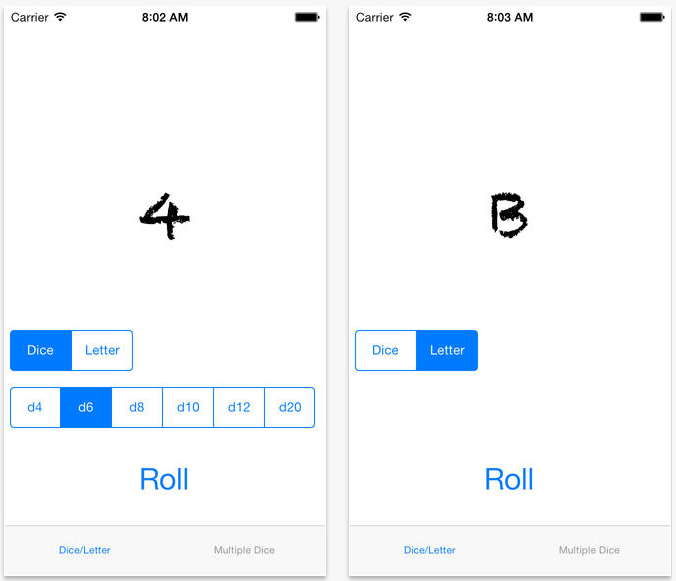 Roll Random isn't yet available for Android, but development is underway! Get info and updates on availability here. Possibly the worst dilemma for EDM lovers is hearing an amazing song in a set that takes you to heaven, but you don’t know the track name or artist. 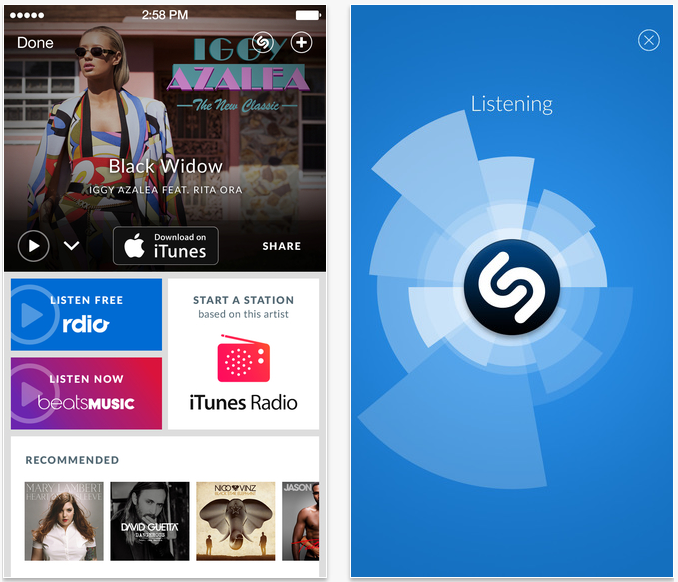 Shazam is answering all of our raver prayers, making easier to ID the track. Whether you’re listing to a live set, radio show, podcast, or actually at a show, pull out Shazam and quickly click the button. The app quickly identifies the track based on a predetermined finger print of the song. You can also turn on auto-Shazam, where all you have to do is open up the app and it will already have the track name and artist ready for you. No worries though, if Shazam isn’t able to find the song because it’s too new or unique, they will save the info and ID it later. Shazam keeps track of all the songs you’ve identified in the "Tags" section, so you never have to worry about writing it down. Just simply listen and enjoy! Get the Shazam app for iPhone here. Get the Shazam app for Android here. EDMX is your one stop shop for all dance music information in one area. You can browse artists, festivals, and news. Artist bios make it easy to learn more about a DJ you’re curious about. The app gives you a brief history of the DJ, a full list of their songs you can preview directly in the app, photos, and a up-to-date list of all their upcoming shows. If you’re planning on going to a festival but want to know more, the app gives brief summaries of popular festivals and links you to their websites for more information. With so many EDM blogs to choose from, it’s hard to keep track of dance music news. EDMX sorts the best articles from all the blogs into one area to keep you in the loop. You can also sign-in with Facebook to save your favorites and choose preferences for the type of EDM news you’d like to stay on top of. EDMX simplifies all of your basic dance music needs into one simple click. Get the EDMX app for iPhone here. Get the EDMX app for Android here. Perfect for exploring music in the EDM world, SoundCloud has endless possibilities for dance music lovers. This is our favorite app for streaming free music. Create a profile and follow all your favorite DJ’s to stay up to date on all their new releases daily on your "stream." Search for your favorite DJ’s radio show to catch up on what you’ve missed. You can even search for specific live sets that artists played at different festivals and shows. Whenever you like what you hear, simply add it to your favorites to save it for later. You can even create a playlist of your favorite songs for your own use or to send to friends. Making playlists are great for DJ-ing your own party. If you make your own music, use your SoundCloud account to upload and share your new tunes. You can also connect the app to your car’s stereo system and listen on the go. 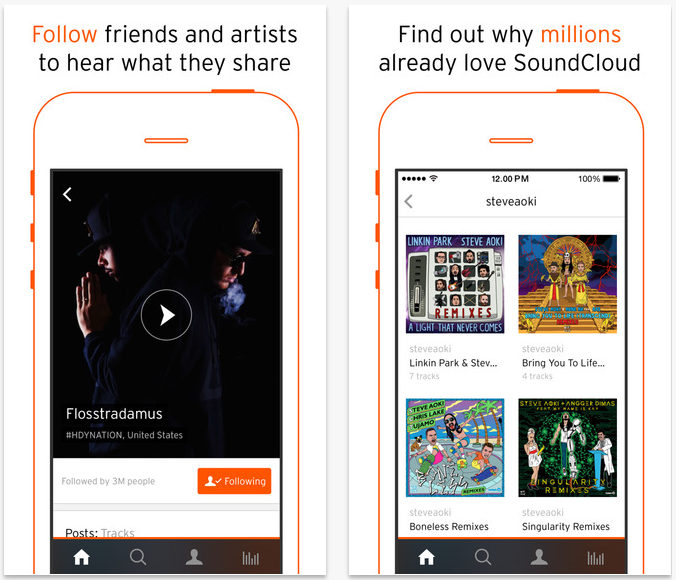 With SoundCloud, you easily have the entire EDM universe at the tip of your fingers. Get the SoundCloud app for iPhone here. Get the SoundCloud app for Android here.